Last edited by Interista93 on Mon Feb 18, 2019 4:26 pm, edited 5 times in total. Yeah, probably. However he's the only Inter's striker to have won a Ballon d'Or (even though he just joined the club at the time). Yeah, Ibra, Eto'o and specially Milito were far more successful than him there, but then, who could hold a candle to 1997-1998 Ronaldo offensively in Inter history? Please remove Juan Jesus, he doesn't deserve a place in reserve's reserves. I knew someone was going to tell me that.. 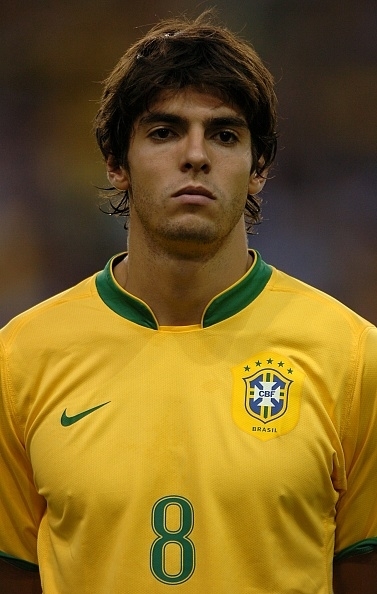 He has been by far one of the worst defenders in Inter's recent history. I put him for having played more than 100 games and due to the lack of defenders in reserves. But again he was crap so I take him out. I know that I'll receive probably receive massive criticism for the suggestion but shouldn't Icardi be in the first team instead of Ibra? I don't like him and his behaviour outside the pitch (after all he's just an idiot) but he's Inter's second best foreign goalscorer (even two times Capocannoniere) despite having much weaker team mates than basically every other player from the first team. Ibra had three excellent years but immediately left when Barca called (understandable decision for everyone except for the Inter fans), so he shouldn't be in first team here IMO. Btw, if Angelillo is part of the reserves, then Attilio Demaría needs to be there as well. I included Angelillo but not Demaría because I thought this way: both are Argentinian/Italian however while Angelillo still played for Argentina while playing for Inter, Demaría changed his national team right after joining the club. 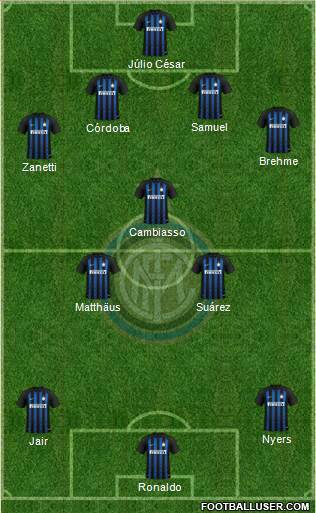 By the way if the others agree on adding Demaría and replacing Ibrahimović with Icardi, I'm ok with that. Well, if not Icardi, then Angelillo or even Adriano/Recoba would be a better choice than Ibra. I love Ibra but I don't consider him very important for Inter's history or it's fans.. I considered appearances, goals and titles so I replaced him with Recoba who won not only national competitions like Adriano but also a UEFA Cup. Plus I think Inter fans love more Recoba than Adriano despite the great amount of goals scored by the Brazilian. I was also considering Icardi to be placed in the first team, but for Wilkes, but then, i hesitated because then, there wouldn't be a proper replacement for Jair on the right wing. I don't agree with you guys. I'm not an Ibra's fan but he has been the key player for 3 Scudetto, without him they were losing one of them even if they were by far the best team in Serie A.
Icardi is underrated but not good enough to be here for now. I suggest Peirò, Bergkamp, Passarella, Prohaska in place of Martins, Simic, Guarin. About Ibra, that's the reason why I had put him in the first squad. He's been one of the most important players who took Inter to greatness after many years. It's a shame he left Inter right when the club was going to win the UEFA Champions League and I think they would have won it too with Ibra instead of Eto'o. By the way, would you take out Recoba, who I replaced Ibra with, or someone else? Icardi scored more than 100 goals but he did absolutely nothing for Inter yet. So I agree with you about him. I'm also going to add to reserves the players you suggested. Yes, I think Recoba is so much overrated, he is what I call "Youtube top player".